Singapore certainly has no shortage of enterprising ideas and designs. What we need are opportunities for them to showcase their products prominently and for consumers to support local brands. 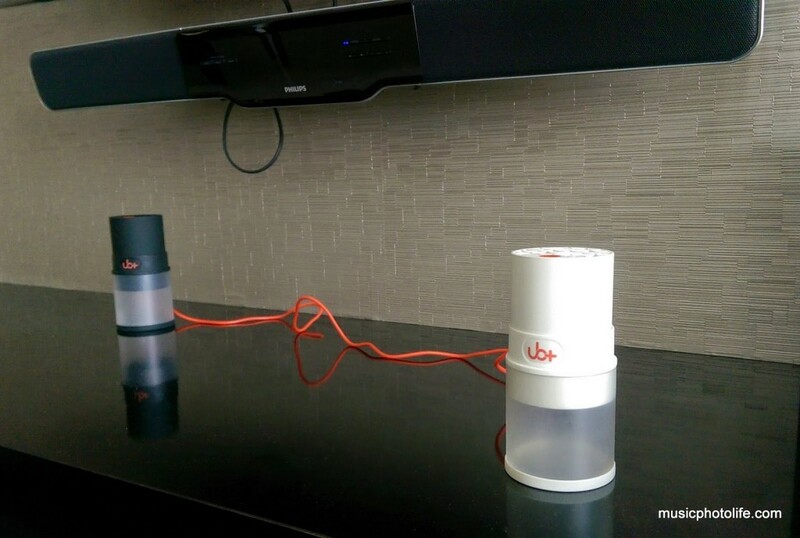 Recently, UB-Plus (UB+), a local brand, approached me to review their new audio product: Eupho portable Bluetooth speakers. Eupho is capable of connecting multiple speakers for stereo effect and is smaller than a regular can drink. In fact, my wife commented that it looked like salt and pepper shakers. This “lifestyle look” is exactly what UB+ intended. Its rubber-coated cylindrical shape design with triangular-shaped grill blends the Eupho easily into modern homes. One of the key selling features of Eupho is the ability to integrate other accessories or products to offer a seamless audio solution. 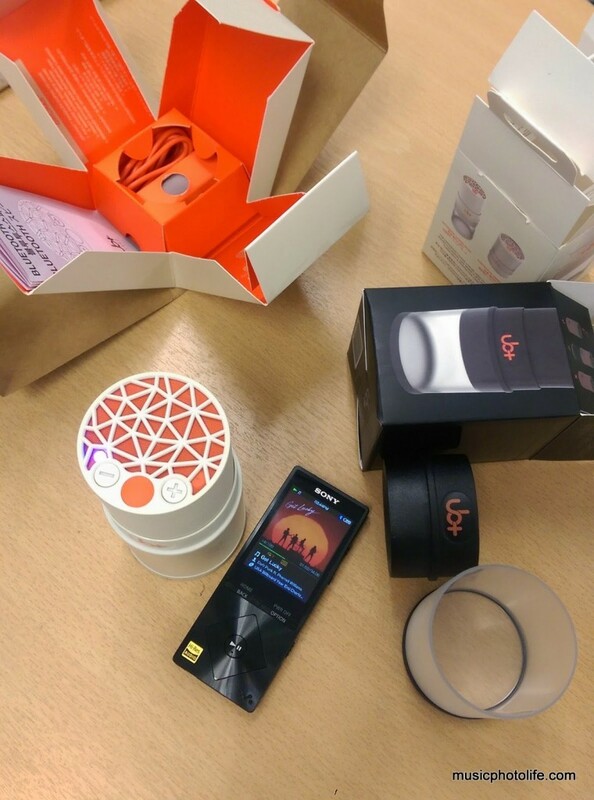 At their main office, UB+ showed me a few concept prototypes, like a tower of half dozen Euphos, and a soundbar-module with slots for Eupho placement. For now, the only add-on module available for Eupho is the expansion casing which doubles as a protective case. Smart designs like these led Eupho to win several design awards, including the Singapore Good Design Mark 2015 and A’Design Award 2014-2015. 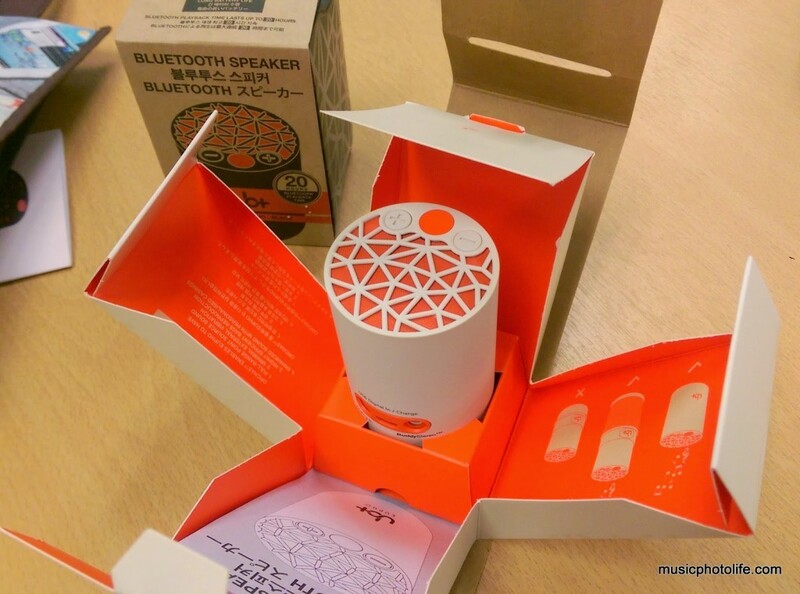 – supports music via 3.5mm cable, USB audio, Bluetooth. – supports multiple speakers via “BuddyStereo” port. – modular for expansion beyond a single unit. If you have been a critical audio listener, you should know that there are trade-offs between full sound and speaker size. It is impossible for a small speaker to deliver full sound comparable to larger speakers. It is like expecting a small fan to produce the same wind power as a large fan. What’s more, Eupho speakers are upward facing and not front-facing, further affecting the audio impact to the listener. In consideration of the size and design, the Eupho delivers impressive audio output. Listening to the Eupho at about 50cm away, it delivers relatively full, warm tones with subtle treble clarity, while the bass is audible though not particularly impactful. Classical tracks are delivered with good timbre detail and sufficient instrument clarity. Even at quiet passages, the instruments are distinctly audible. 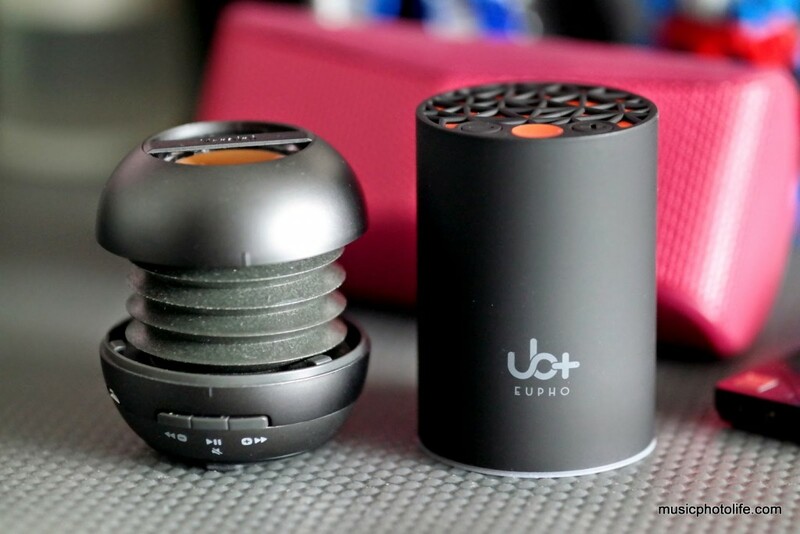 Unlike most other mini speakers I tried, Eupho is tuned with non-exaggerated treble tone, which I prefer. If you are too used to the often sharp-treble qualities of other small speakers, the Eupho might come across as slightly muffled. When the optional expansion casing is inserted, the vent below the Eupho is opened up to allow air to pump into the casing. With this larger chamber, the bass response is improved with more distinct audible bass notes, and the mid-tones turn out less boomy and overpowering. Playing pop or jazz music will deliver that real bass tone that is often lacking in such small speakers. The magic happens when you link a second Eupho via the BuddyStereo. You get a broader omnipresent audio, and the musical details are distributed across 2 speakers. In this setup, the Eupho performs at loud volumes with better confidence and less restricted. I am impressed that even at maximum volume, the Eupho handles the sound pressure well, without any distortion or sonic vibrations, true to ORCHAS technology. I borrowed the X-mini KAI2 from my friend and compared to the Eupho. The KAI2 plays with boosted treble and bass but weak in details, as the louder instruments cover up the rest of the instruments. At high volumes, the KAI2 rattles and vibrates excessively to the roaring bass. Small speakers are often associated with low-price and basic audio quality. 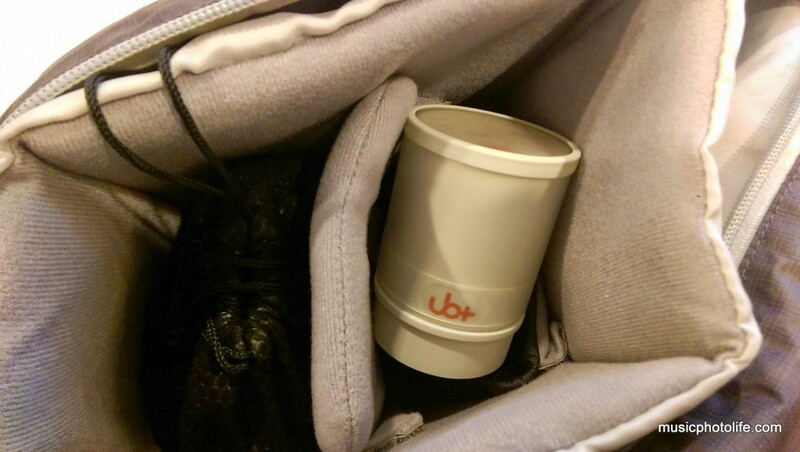 UB+ has disproved that even small speakers are capable of delivering audio details. The Eupho makes a compelling close-range speaker for intimate audio enjoyment, delivering good details and bass feel. When you play your favourite music quietly on the Eupho in the tranquil night, you can truly experience the euphoria of this well-designed audio product. Currently retailing for S$89.90 at all POPULAR branches, all TwoBros outlets, and COURTS Tampines stores, with more distribution points to come. Each Eupho unit comes with free expansion casing worth S$11.90, while promotion last. 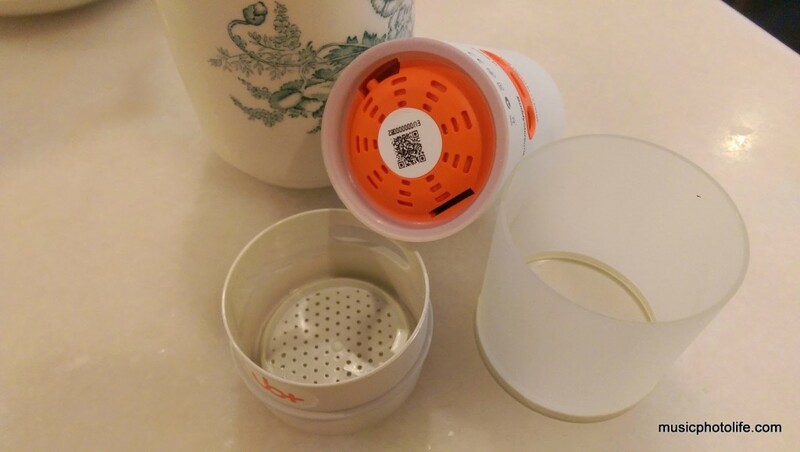 Pingback: Sony SRS-X11 Portable Bluetooth Wireless Speaker Review - Music.Photo.Life. 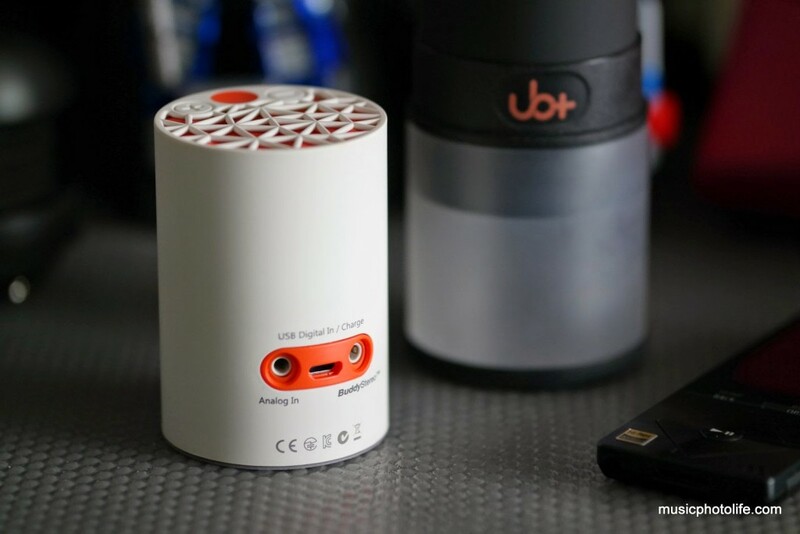 Pingback: UB+ Eupho Bluetooth Speaker Well-Received Worldwide - Music.Photo.Life.